The Green River Group Construction Company, based in Morgantown, WV, was hired as general contractor to oversee the $1.2 million retrofit of a 6-acre parking lot on the West Virginia University campus. The project included three bio retention areas, the associated drainage work, base course and wearing course asphalt for resurfacing of an existing parking lot, plus the addition of 1, 200 lineal feet of curb. Crews would be required to cut out the old asphalt and prepare the sub-base, then the curb crew would be brought in to install a 20-in. straight-up curb at 14 in. below the existing surface, with 6 in. exposed. Curbing would need to be installed while working in tight conditions and on different levels. Green River Group specializes in civil construction, but is moving into the curbing industry. This was its first job using its newly purchased Phoenix 7500 mid-size curb and gutter machine from ConTech International. The 7500 weighs less than 10, 000 lbs. and is easily transported and driven off a 1-ton truck. It takes 30 minutes to set up, which includes unloading and putting it on the stringline. This short setup time is attributed to the molds and sensors being already attached. On this project, the unit poured almost to the point of the 90° transition. 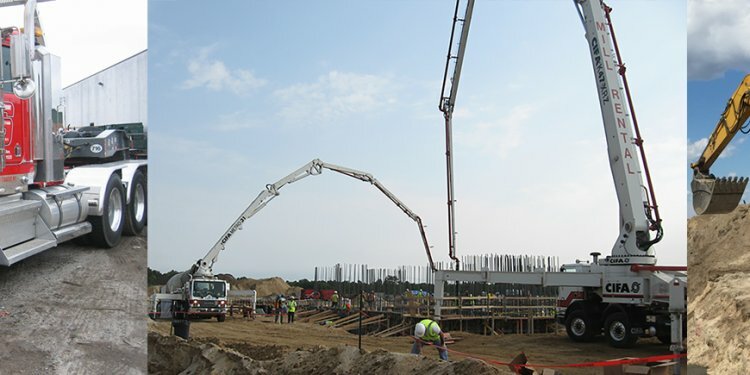 A Topcon System 5 Sonic for height and cross-slope enabled the 7500 to pour without incident. It easily maneuvered around obstacles such as light bases, plus demonstrated the ability to operate in a multi-plane fashion by pouring curb while turning, going uphill and leveling against different pitches on the roadway. The tires on the curber had to travel very close to where the asphalt was cut down to new curb — a dicey situation since a machine that is too heavy will collapse the asphalt. Because of its rubber tires, the 7500 did not cause any damage. Despite weather challenges (high temperatures and humidity, thunderstorms, etc. ), tight working conditions and an operator with just 12 hours of training, the 7500 pulled off the difficult curb pour. At various points, it had to cross ditches onto compacted gravel then come back up onto the pavement while holding the top of the curb. It successfully crossed all ditches and surfaces without collapsing the pavement.